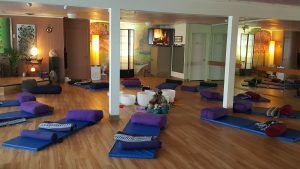 Join us as we transform our wellness center into our Yoga Sound Lounge. Enjoy a lounge style mat and an eye pillow and drift off. Close your eyes and breathe as wave after wave of sound washes over you. Sound meditation is a powerful tool into the transformative power of meditation. It is an excellent way to experience a state of deep peace. 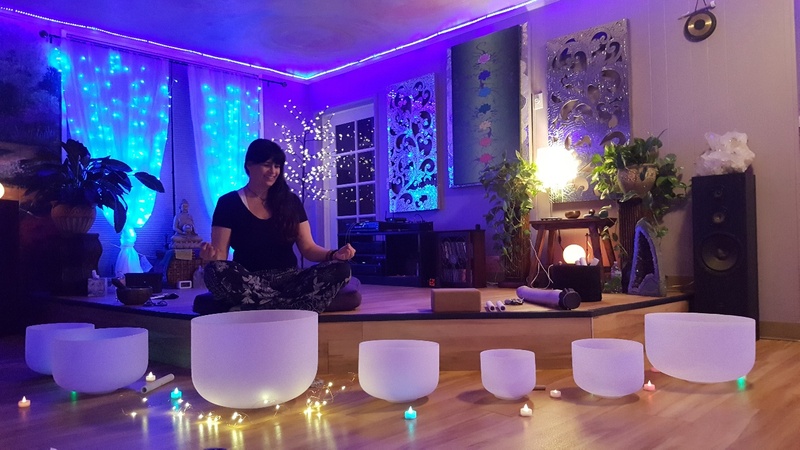 Sound Meditation is a very effective form of meditation, this practice can help ease depression, anxiety, and addiction. Sound Meditation can help with sleep. 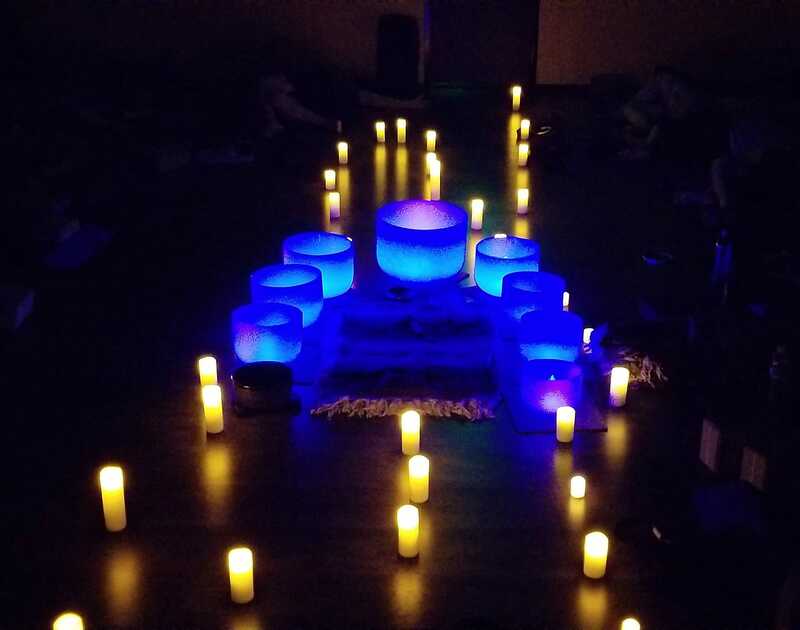 Sound Meditation is the practice of deepening meditation with the use of sound and music. For thousands of years, sound has been used in ancient cultures to ease anxiety and promote a sense of well being. 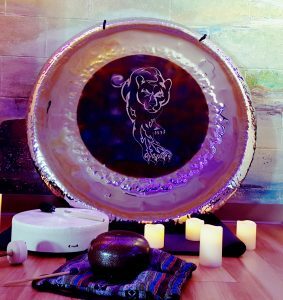 The focus on the use of ancient Tibetan instruments, Crystal singing bowls along with our famous Gong. We also play shamanic drums, hang drums, tingsha chimes, harps. Sound can also be used to get rid of pain. Pain receptors can only handle so much information, so when you fill them up with sound they can no longer transmit pain impulses.